In this issue of illuminations we talk about the power and importance of visualizing ourselves as the kind of devotee we really want to be. I’d like you to take a minute and envision the kind of devotee you would like to be if anything were possible. What qualities would you like to possess? How would you like to act? What kind of mentality and attitude would you like to have? When we first take to Krsna consciousness we have high expectations for our advancement. But sooner or later we realize that our conditioning doesn’t easily leave us. Since old habits, attachments and material tendencies are strong, we often develop a more “down to earth” attitude about the level of Krsna consciousness we can expect to achieve. Then thoughts such as, “I can never be a really advanced devotee, I can never be completely detached, I can never be that self controlled, it’s not my nature to be this way or that way, enter our minds. These thoughts create a sort of mental blueprint about how Krsna conscious we can expect to be. If you think you can only achieve a certain level of bhakti, it is unlikely you will strive for something greater. Even if you do, in the back of your mind you will likely be thinking it is going to be really difficult, or even impossible for you to achieve it. Or worse, you may achieve it and then fall from it because your blueprint is set to a lower level of bhakti (“I can’t maintain that level”). This mental blueprint is like setting a thermostat to 72 degrees. Even if you open the windows and let in cold air, the thermostat kicks in and warms the room back up 72. Similarly, our spiritual blueprint tends to keep our Krsna consciousness at a certain level. This will work for us or against us depending on where the thermostat is set. This is clearly seen in the material world. When good things happen to unhappy people, they get uneasy. They can’t take the happiness and thus the unhappy thermostat kicks in and they become miserable again. Their thermostat is set to unhappy. When a poor person wins the lottery, he or she usually ends up broke within five years. Their thermostat is set to poor. If Donald Trump went bankrupt tomorrow, he would soon be rich again because his thermostat is set to wealth. Where is your spiritual thermostat set? Of course, pure devotees consider themselves most fallen and thus unable to achieve Krsna’s lotus feet. Yet at the same time they have full confidence they will achieve their desired goal, pure Krsna bhakti, by the mercy of Krsna. This is described in Nectar of Devotion as asa bandha, which Prabhupada defines as hope against hope. The idea is that I may be totally unqualified but I have great hope, hope against hope, that I can achieve Krsna’s lotus feet by His mercy. So if the vision of the kind of devotee you can become is full of “I can never be like this,” ask yourself if you are lacking faith in the power of Krsna’s mercy to purify you. Yes, you cannot become anything by your own power. But advancement in bhakti is not due to your own power; it is due mercy, which guru and Krsna bestow according to your desire to advance. What you are today is the kind of devotee you have been envisioning for yourself. Have you ever heard someone say (or your own mind tell you), “I don’t ever see myself doing that or being like that?” If we think that way about bhakti (“I don’t see myself ever being an advanced devotee, I don’t see myself ever doing anything significant for the movement, etc.”), than that is what will likely happen. 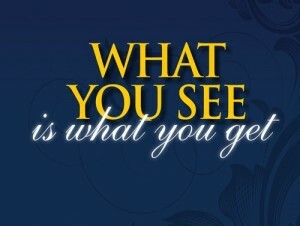 Your reality manifests from your vision, from your meditations, from your desires, from how you see yourself. This is why it is vitally important to visualize the kind of devotee you would like to be and the kind of service you would like to render. Srila Prabhupada had a clear vision of Iskcon long before he stepped onboard the Jaladuta to come to America. He saw the devotees, books, farms, temples, and schools. As temples were established, books distributed and new devotees joined, Prabhupada was not surprised. He expected it would happen. And Prabhupada continually spoke much about what the movement would be like in the future. If you haven’t already done so, write down the kind of devotee you would like to be if there were no obstacles to achieving your vision. Once doing this, add more detail. 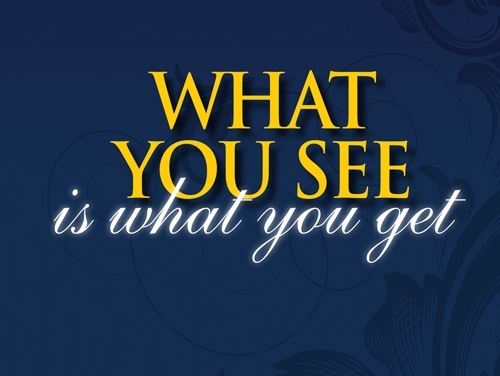 The more detail the better because it will impress upon you a clearer vision of what you want. As the vision develops, you will tend to gravitate towards the qualities and activities of the devotee you really want to be. Also, do the same exercise for service. Think of the service(s) you would do if nothing were stopping you. For example, if you would like to present Krsna consciousness on television but are scared to death to be on TV, imagine yourself on TV fearlessly speaking to hundreds of thousands of people. Don’t meditate on what you can’t do or how you would be afraid to do it, meditate on how to do it. Again, you should get as specific as possible (what you will say, how you will dress, what station will you be on, what guests you will have on your show, who will be helping you, etc?). The purpose of these exercises is to begin to manifest the realities of your vision. How will this happen? Since it is already happening now with the vision you have for yourself and your service, if you change the vision the reality will gradually change. For example, if you develop a vision of being a more serious devotee, you will likely find yourself automatically reading more, chanting better rounds, rising early, being more detached, doing more service, etc. And by envisioning some service you really want to do, you will likely find yourself more enlivened, using more of your time to plan and execute that service, talking to others about it, etc. This will all naturally happen because our outer world is a manifestation of our inner world, today and in the future.